I was lucky enough to be a beta reader for this book. Which just means I read it before it went to print. Let me tell you it is riveting. In this Gothic horror book comes the ultimate good vs. evil. You are back in time to 1431 and Vlad Dracul is the king of Transyvania. His half-brother rules Wallachia to his south and was always a threat. He was part of the Order of the Dragons and was sworn to halt the Turkish takeover of Christian lands. Vlad also had a truce with the Turks. 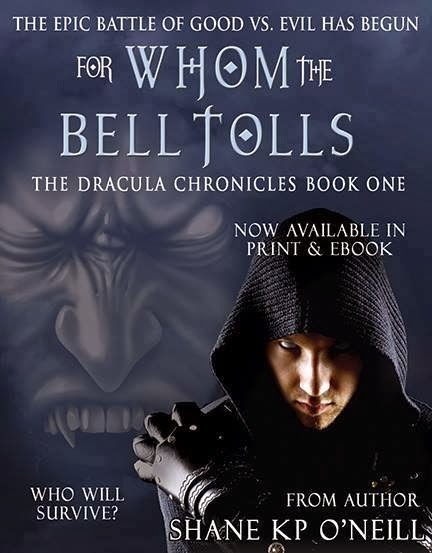 Throughout the book, Vlad Dracul is in conflict with his allies and his faith. He tries to avoid conflict with the Turks by sending his oldest son to battle carrying his standard, in order to spare the lives of his younger sons, held by Turks. In a final battle, when Dracul sees his imminent death he is called to fight on or choose his faith. Which will he do? I am not someone who usually reads Gothic horror, but this book held me spellbound. It is well crafted and the scenes come alive with the characters O’Neill has created. He has stayed true to the times he writes about making it all the more authentic. Go grab a copy.